“I have been very happy with the results, the changes to my skin have been outstanding…I am so pleased I found Salon Corina. It’s fantastic to think that somebody may help you reduce your wrinkles and improve the overall look of your face.” R Thurman – happy customer. 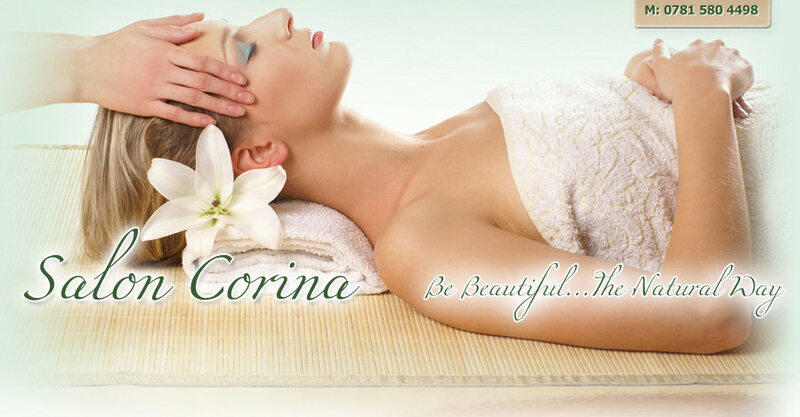 At Salon Corina, every facial treatment we provide is aimed to give you long-term benefits as well as immediate results. The Salon Corina signature face treatment is different to any face treatment you may have had before. This is because we design the face treatment around the needs of your skin, using a different approach. We offer an exceptional standard of care for every client we see. Salon Founder and skincare expert Corina Lucian has more than 25 years’ expertise in skincare and is experienced in working with a range of skin problems such as acne and rosacea. Corina’s expertise was gained through her training in Europe, which included dermatology, microbiology, cosmetology and hygiene. We always start with a skin testing and we work with natural products developed by Corina. This is pampering that gets results – as so many of our clients tell us. If you’re looking for a gorgeous anti-ageing skin treatment, a skin treatment to help treat spots – or a relaxing skin treatment to help you prepare for a big event, click here to view our full range of services or get in touch now to book your appointment to visit our West Bridgford based Salon. Every face treatnent we provide is designed around your skin’s exact needs. Scroll along to find the skin treatment that suits you.